Russian President Vladimir Putin, left, and Armenian President Serge Sarkisian speak at a CIS summit in Minsk, Belarus, Friday, Oct. 10, 2014. Armenian President Serzh Sarkisian on Wednesday invited a fiercely anti-Turkish party to join his government, in a controversial power-sharing deal highlighting a stalemate in efforts to normalize ties with arch-foe Ankara. The Armenian Revolutionary Federation, or Dashnaktsutyun, took three ministerial posts and appointed two regional governors, according to the memorandum it signed with Sarkisian's ruling Republican Party (HHK). "This agreement marks the beginning of a long-term political cooperation based on common values and joint goals and action plans," the HHK deputy chairman, Armen Ashotyan, told journalists. In a decree signed by Sarkisian, Dashnaktsutyun's Avik Minasyan was named economy minister. Davit Lokyan and Levon Mkrtchyan were appointed ministers of education and of the local administration respectively. Armenia and Turkey are at loggerheads largely because of a historical dispute over a World War I-era massacre of ethnic Armenians in the Ottoman Empire. Dashnaktsutyun, a socialist party which currently holds five seats in Armenia's 131-member parliament, also advocates territorial claims to Turkey. Highly popular among Armenia's influential diaspora abroad, Dashnaktsutyun went over to the opposition in 2009 after Armenia and Turkey signed an agreement to normalize relations. The so-called Zurich protocols, which would have led to the opening up of the border between the two neighbors, have since languished without ratification in both nations' parliaments. 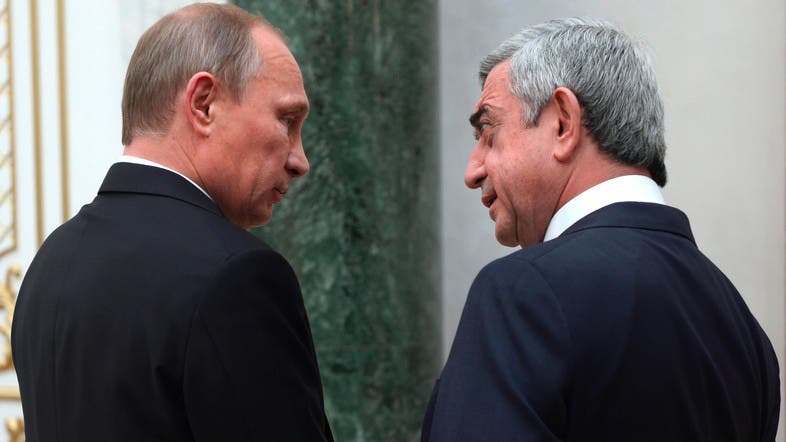 In February 2015, Sarkisian recalled the protocols - brokered by the United States, France and Russia - from parliament, citing the "absence of political will" on the Turkish side. The massacre of some 1.5 million Armenians by Ottoman forces between 1915 and 1917 is formally recognized as genocide by some two dozen countries, including France and Russia. Turkey rejects calls to recognize the killings as genocide, saying up to 500,000 Armenians died in fighting and of starvation after Armenians sided with invading Russian troops. It claims a comparable number of Turks were also killed.